A lump of lead has been cleverly folded like origami and rubbed with patination oil to avoid the lead staining un-prettily over time. 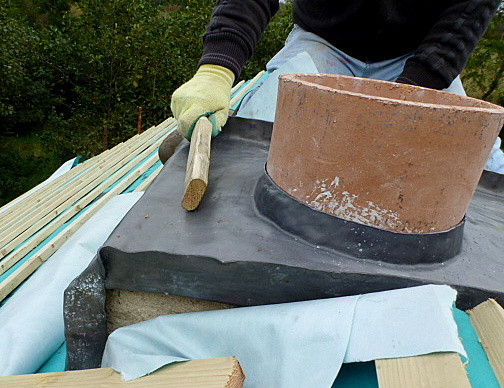 Lead flashing should be a snug fit when placed over the clay pipe and needs to be beaten gently to ensure all surfaces are in contact and the chimney is fully encased. 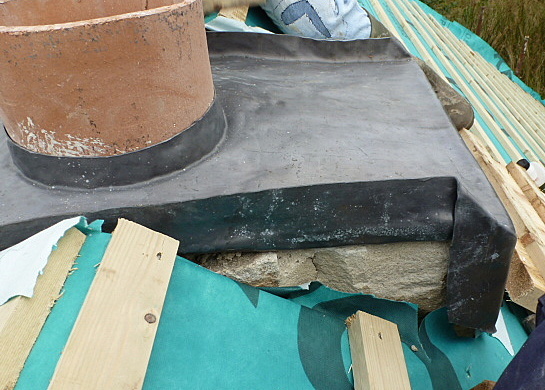 The edge turns up and will be later bent down over the edge of slate to stop rain from penetrating down the chimney. 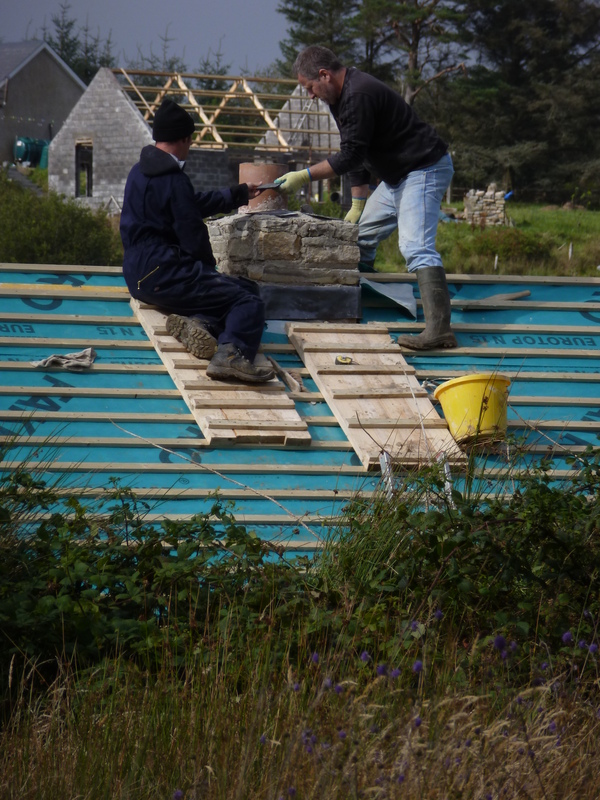 Front and back an apron serves to similarly carry rain away from the stone stack and over the surface of slate instead. 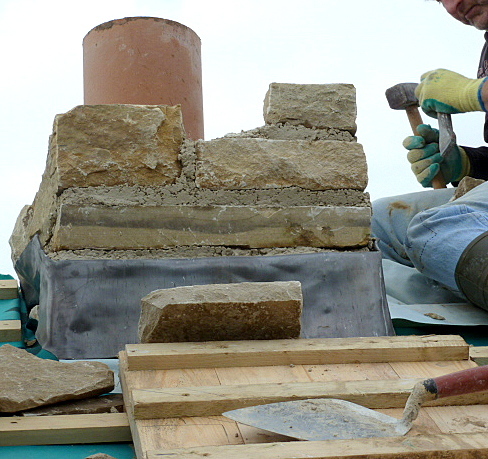 Our final clay pipe is in place and the chimney is built as a pillar is, one foot above the flashing. 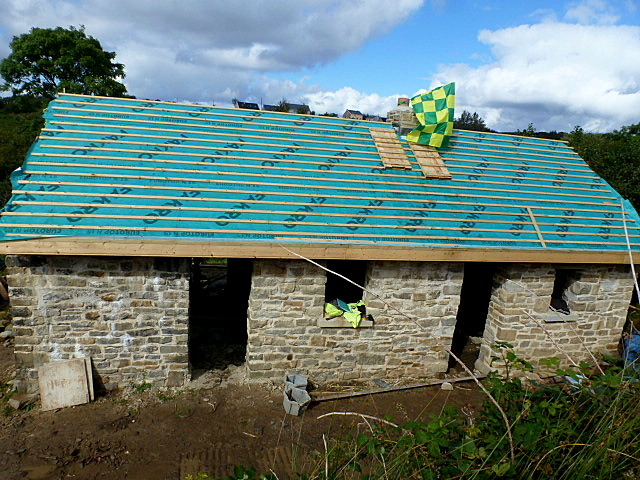 Our chimney is up! 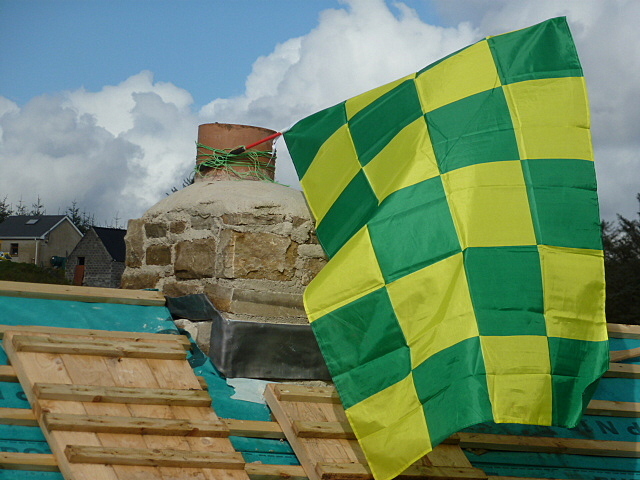 Up Donegal! Posted in Chimney, flue, lead flashing, RoofTagged county colours, dry chimney, folded lead, lead apron, lead flashing, patination oil, rain penetrationBookmark the permalink. Hard to believe this is the Thresher, as it was at the start of this job, barely 18 months ago! What a transformation. 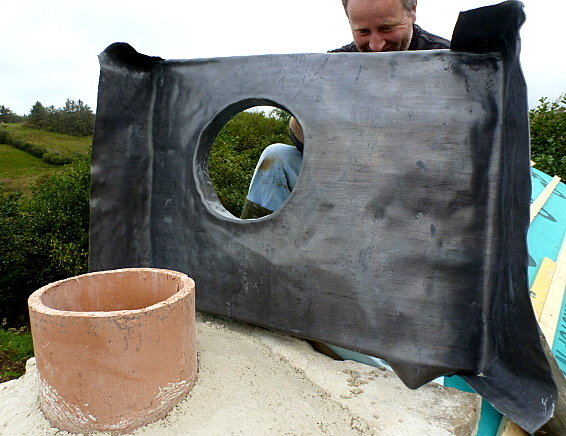 And what a contrast to the block building in the background of #5 “last Pot”. You should be very proud indeed, truly a thing of beauty. nice post very descriptive and images are showing every thing how to build .